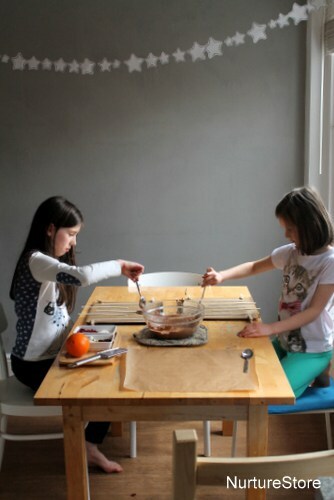 Cooking with kids is one of the best science experiments you can try at home. 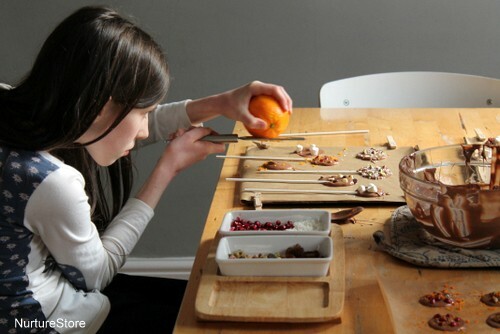 Your kitchen becomes your lab, you’re using equipment you already have, and it gives children the opportunity to see all sorts of different science processes in action. Plus you (usually!) get a tasty result at the end. 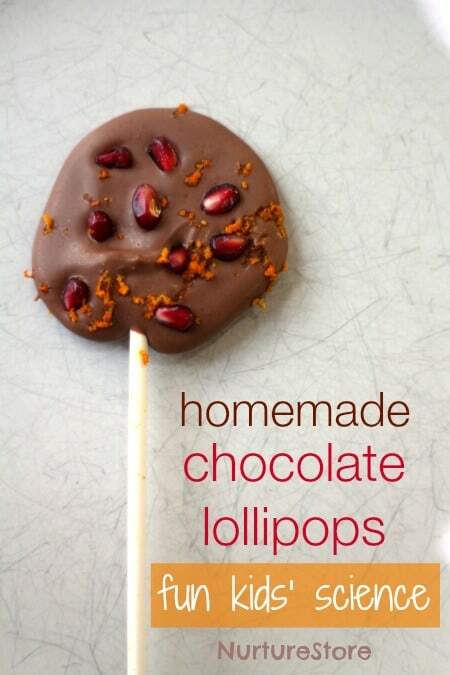 Today we made some homemade lollipops. The ingredients and method are both very simple, but at each stage there’s the opportunity to think about the science that’s taking place. All you need is chocolate, a selection of toppings (see the suggestions below), some lollipop sticks and some greaseproof paper/ baking parchment – along with a pan, a glass bowl and some spoons. Begin by breaking up your bars of chocolate. It’s good to do this while it’s still in the wrapper as that will contain the crumbs. Think about the force at work as you snap the pieces. 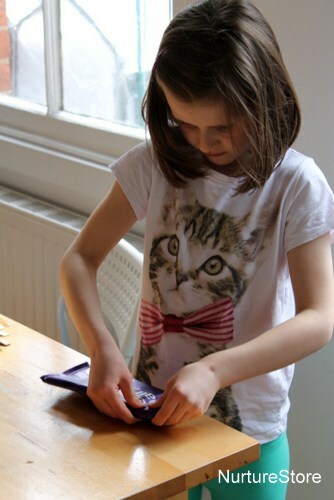 If your bar of chocolate is divided into chunks, see if it’s easier to push the chunks together or pull them apart. Then you need to melt your chocolate. 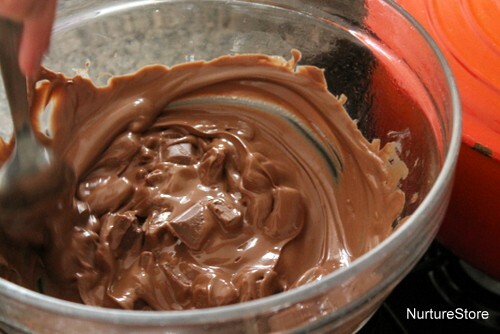 Fill a pan with a little water, set a glass bowl on top, and then place the chocolate in the bowl. Use a low heat under the pan, and watch what happens. How does the heat change the water? What makes the chocolate melt? Why do you use a glass bowl, not a plastic one? You can talk about solids, liquids and gasses. And perhaps think about water vapour and how it also plays an important part in our weather system. Once the chocolate has melted, you can move over to your kitchen table lab. Use an oven glove to hold the glass bowl as it will still be warm, and place the bowl on a mat on the table. Each child had a baking sheet with a layer of baking parchment (greaseproof paper) on it, held in place with some pegs. 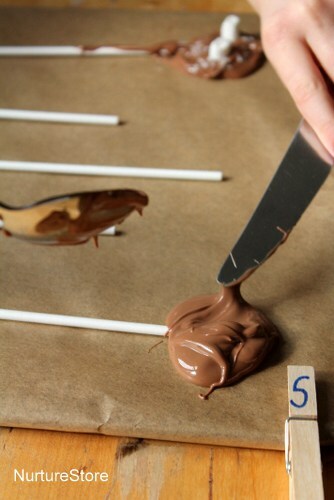 Place a lollipop stick on the paper and use a spoon to pour a circle of chocolate on top of the stick to make your lollipop. Leave the lollipops flat on the paper until the chocolate sets and then you can gently peel them off the paper and eat them or give them as a gift. 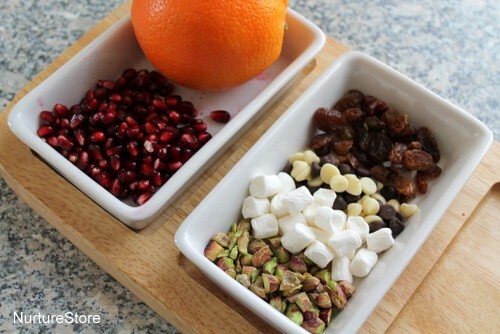 The pomegranate and orange zest was our favourite combo. Using fresh fruit means these particular lollipops won’t last long – but we had no shortage of volunteers to eat them. (In fact my husband was so keen he scoffed one before I even got to take a photo of it!) 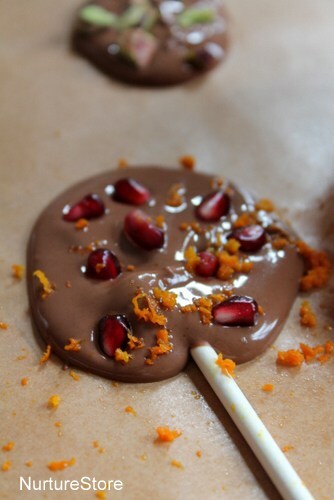 Lollipops with other topping can be wrapped in some cellophane and make lovely gifts. Fizz, Pop, Bang! 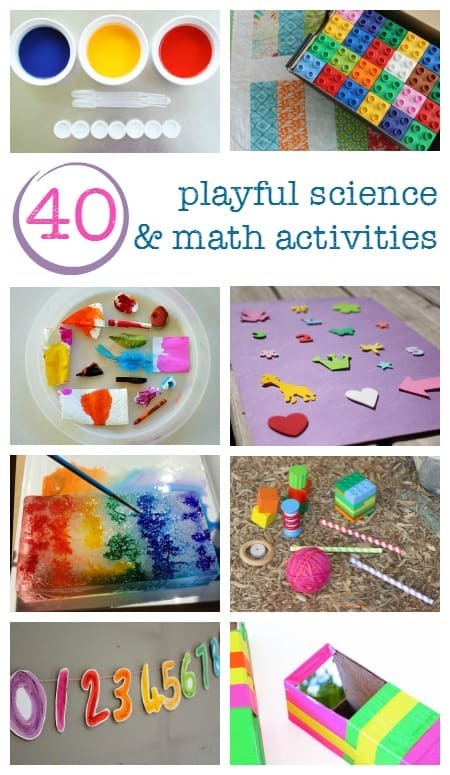 Playful Science and Math Activities is packed with fun, hands-on science experiments that your child can try at home or in school. Click here to see all the extra resources.